First look at the latest entry in the Terminator franchise. The as yet untitled latest instalment in the Terminator series is currently shooting, and the first official image has just been released. 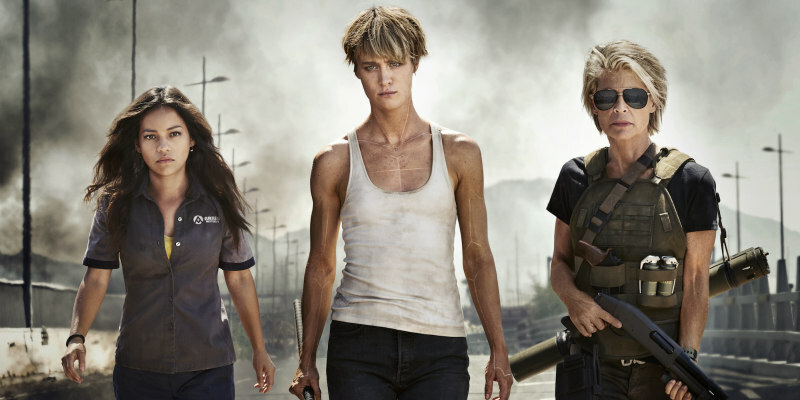 The image (below) sees Linda Hamilton return as Sarah Connor, joined by Natalia Reyes as Dani Ramos and Mackenzie Davis as Grace. The film also sees the return of Arnold Schwarzenegger, with Gabriel Luna and Diego Boneta also starring. No plot details have been released as of yet. Directed by Tim Miller (Deadpool), the untitled sequel is pencilled in for a November 2019 release.